motoglobe.eu - Where adventures begin and never end! More than 1000 routes await you. Track your routes and share your adventures with other members. You'll find everything about your bike in one place. Share pictures and videos with them -- or take a ride together. Don't know where to go? No problem! You can find more than 1000 tracks on motoglobe.eu. With our mobile app, you can track your own routes. Check where you've been on a map and attach pictures and notes to your route. When you've finished tracking your route, share it with your biker friends. Download our mobile app to your Android or iOS device. 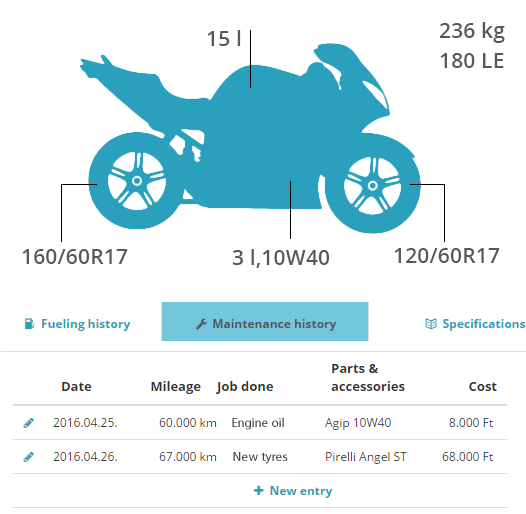 Find detailed technical specifications of tens of thousand motorcycles on motoglobe.eu. Just select your bike and you'll always know what tyres to buy. Keep track of the bike's maintenance history, so you'll always know when to change the oil. You can even keep track of your fuel stops. Sound cool? Sign up in less than a minute and select your bike. 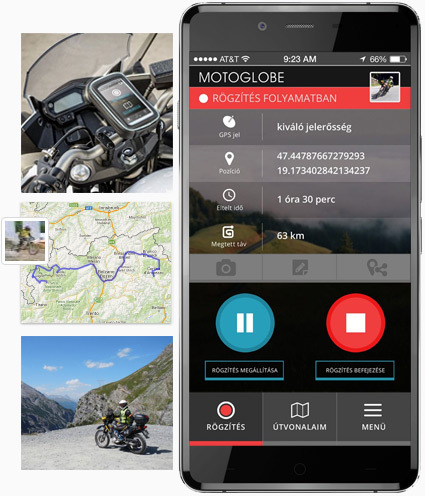 The motoglobe.eu community awaits you. Find your friends or invite them to join, too. Show them where you've been; share pictures and videos with them. Would you like to go on a ride with your friends? 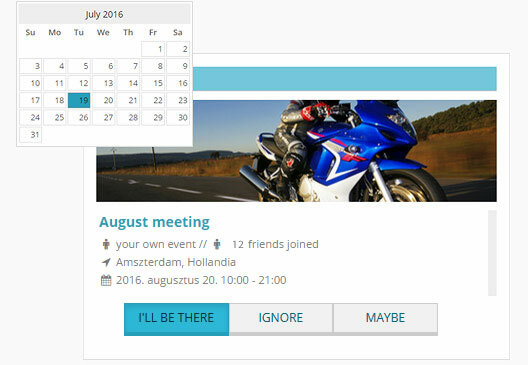 It's easy to create events and invite your friends. Create groups and clubs - or join any of the existing ones. Join us now. Signing up is free and takes less than a minute.